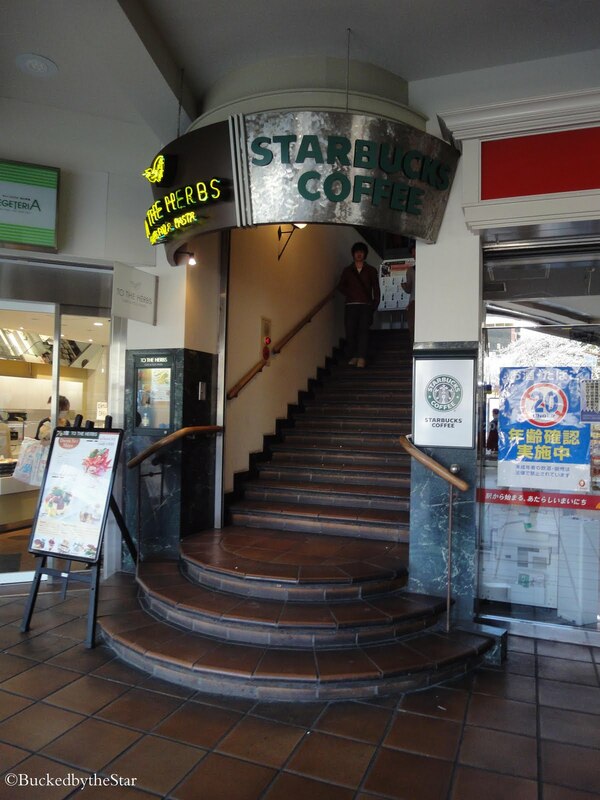 This fantastic Starbucks store is right above Ichigaya Station. The stairs leading up to the second floor. It was around 3pm but the store was very crowded. as most of the store walls facing outside are windows! and the ones you can see here along Yasukuni Street. 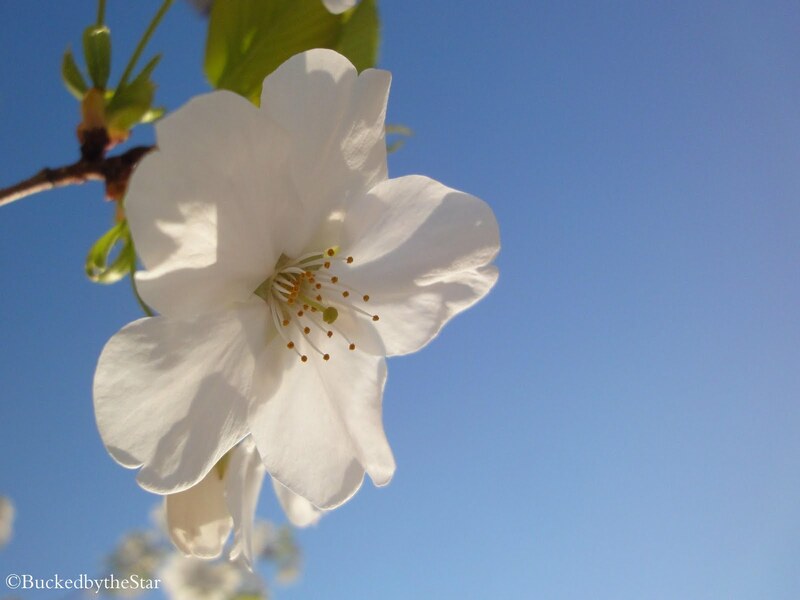 to see the cherry blossoms like I did! Looks like a comfortable nook. 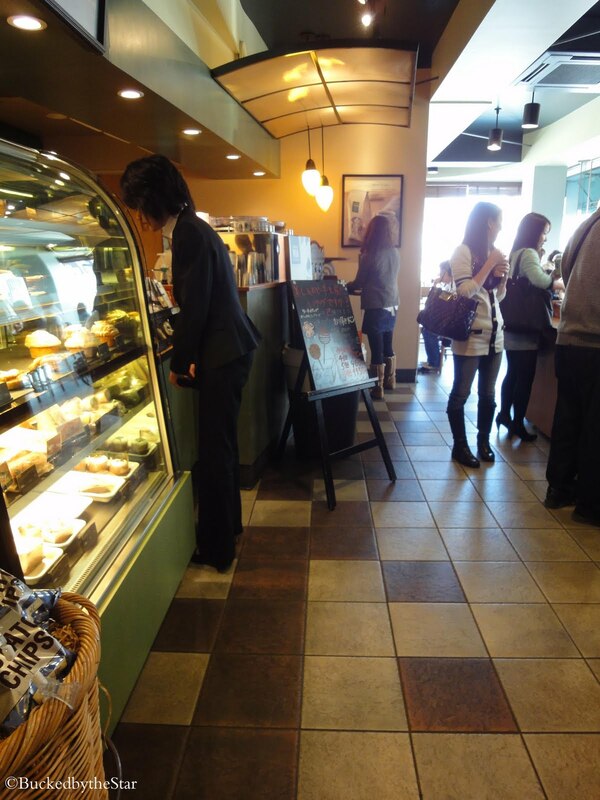 Despite the limited space of many locations in Japan, I think Starbucks does a good job making their shops look and feel cozy. 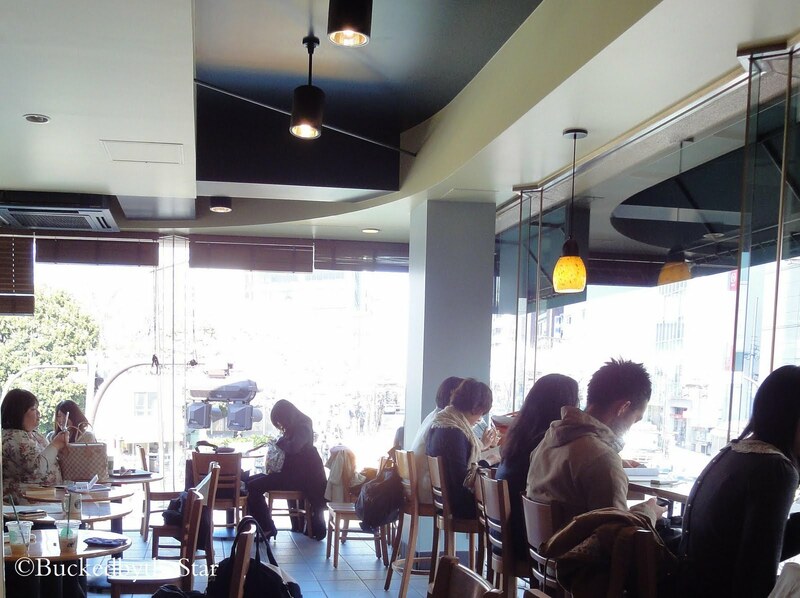 I love Starbuckses with big windows! My favorite! That is a great looking store. I love the words "Starbucks Coffee" on the metallic curved sign. It looks like you're heading to a space age Starbucks in the stars! 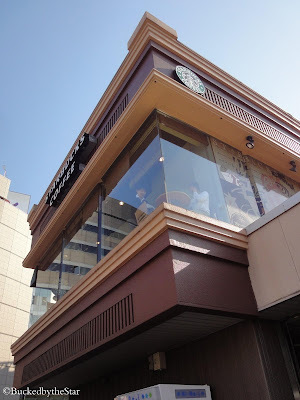 THIS IS MY FAVORITE STARBUCKS IN ALL OF TOKYO OMG!!! Hi. I just stumbled across your blog and saw this and just. just. You have no idea how much time I've spent at THIS starbucks. 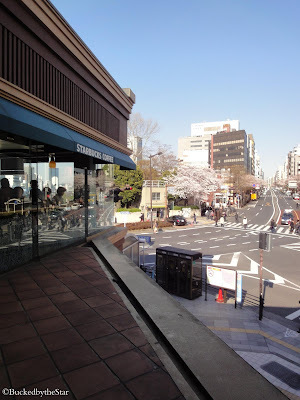 I used to live at Iidabashi station and go to school at Yotsuya station. Ichigaya was my ONE FREE PASS STATION on my lame commuter pass and I would abuse it like crazyness and that abuse (oohhh~~~ look at me suica-ing in and out and it's not charging me! aw yeah Ichigaya~) was mainly used to go HERE. Oh the memories! Now that I don't live there I still try to make a point to go to this starbucks if I have some free time or just am wandering around on the chuo-sen. Sadly no fun times with the commuter pass... but oh well. And now I will stop blowing up your comments with my random love for this starbucks. And I will follow your blog~ hiiii.